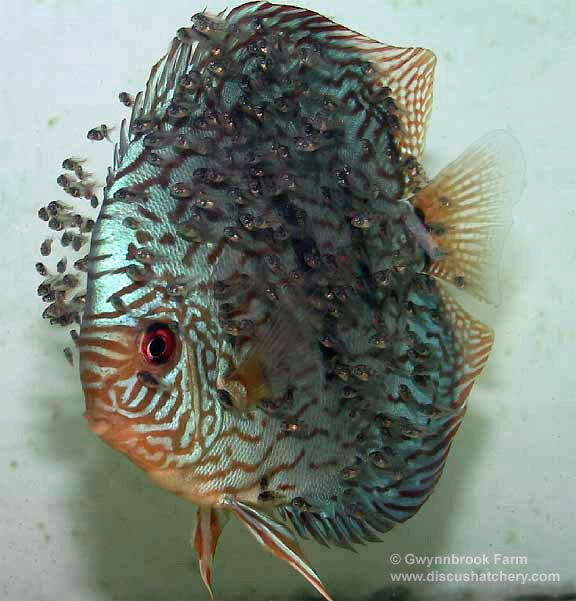 High Quality Discus Fish for Sale by Mail-Order or Visit! "Wow!" That's what most people say when they enter our hatchery for the first time. They never expected to see so many beautiful discus for sale, in various strains and sizes, in one place. Gwynnbrook Farm is a full time, family run business owned by Peter Thode. We've been breeding and selling top quality discus fish world wide for more than 30 years. We take great pride in the hatchery we've built and in the exceptional quality of our fish. We've worked hard for many years to build up our reputation as the leader in top quality, mail-order discus fish in the United States. 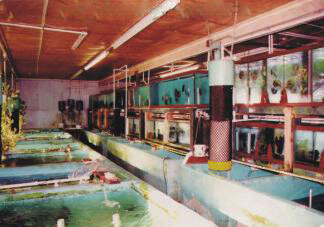 We encourage anybody who loves discus to tour our huge tropical fish hatchery. All you have to do to visit our hatchery is to call for an appointment (410) 356-7557. We hope you can stop by for a visit. Don't be too upset if you're unable to see our tropical fish hatchery in person. Almost 95% of our discus for sale are sold through mail-order. If you want the finest possible discus fish available in the U.S.A., then call Gwynnbrook Farm and place your order today. Remember, your discus's health, shape, color and size are guaranteed. Thank you for your interest in our fish. We hope to hear from you soon. Address: 125 Gwynnbrook Avenue, Owings Mills, MD 21117 U.S.A. Copyright © 1998 - 2019 Gwynnbrook Farm. All rights reserved.